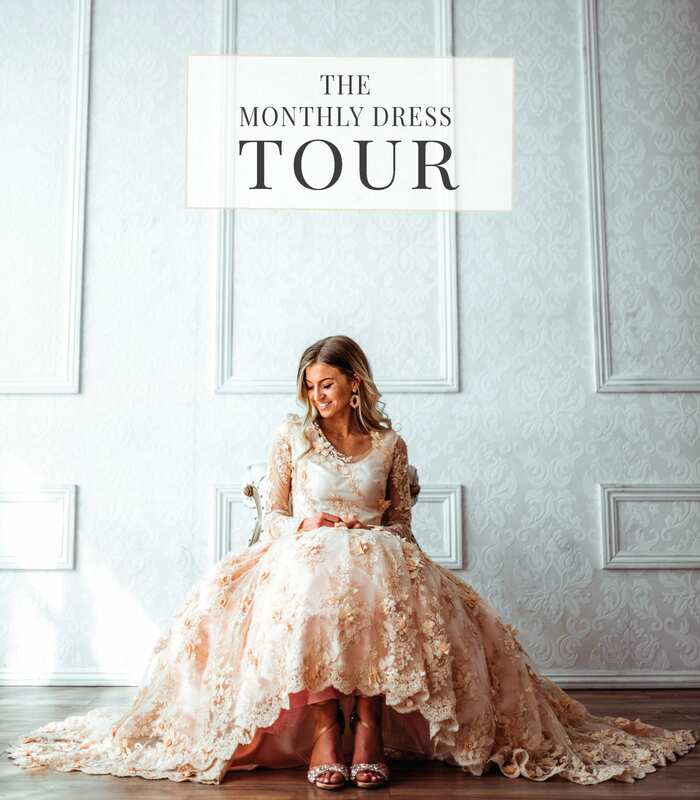 I am excited beyond words to announce that at the completion of a full year of dresses in The Monthly Dress Series, I will be taking my dresses on TOUR! 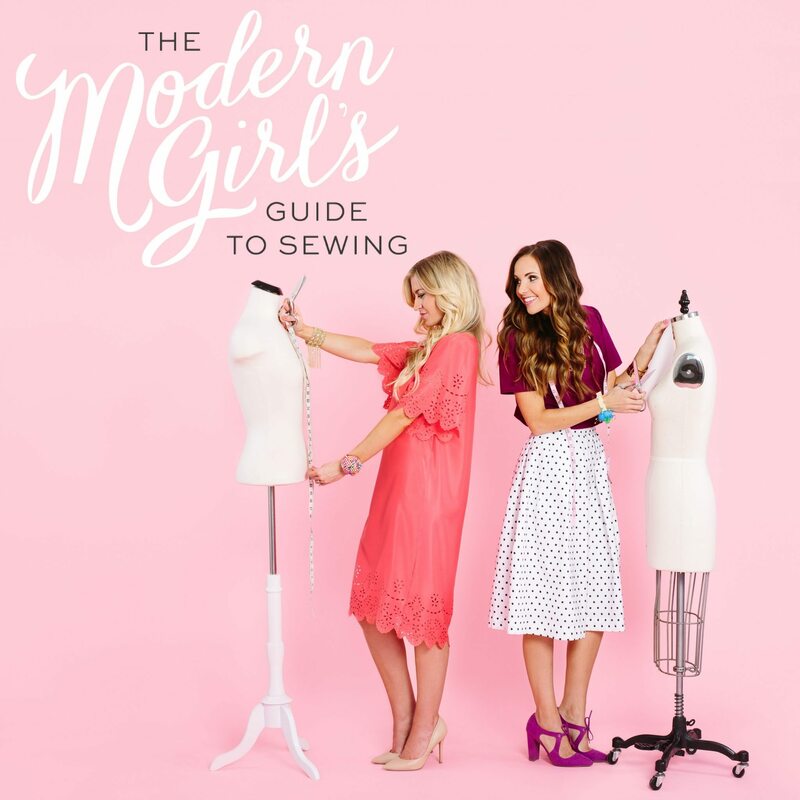 In each dress reveal I include detailed shots of the dresses, an explanation of the fabric and how each dress is completed, and a Behind The Dress video to give you a deeper look into each dress. But nothing compares to seeing these dresses in person. 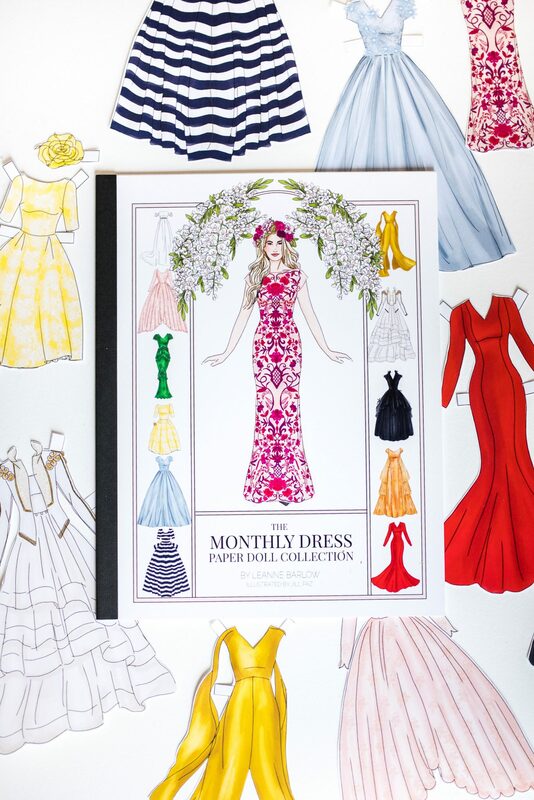 Your responses and excitement about these dresses has made sharing them with you so much fun. It hit me a few months ago that getting to see these dresses in person is a completely different experience. I will be taking all 12 dresses (4 more to go!) and creating a beautiful exhibit that will allow you to see them up close and in person. 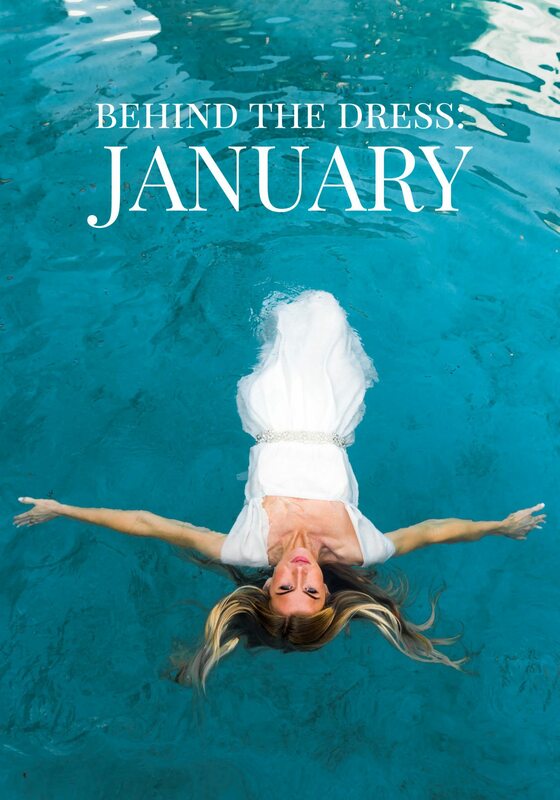 The Monthly Dress Tour will be an event. Something that you, your sisters, friends, daughters, moms, (and super amazing supportive husbands) can come and experience. 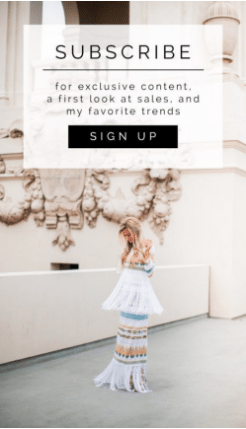 I can’t wait to meet all of YOU and show you these dresses in person! I don’t hold anything back when I create my dresses, and I won’t be holding anything back with this tour. It will be an experience you WON’T want to miss! 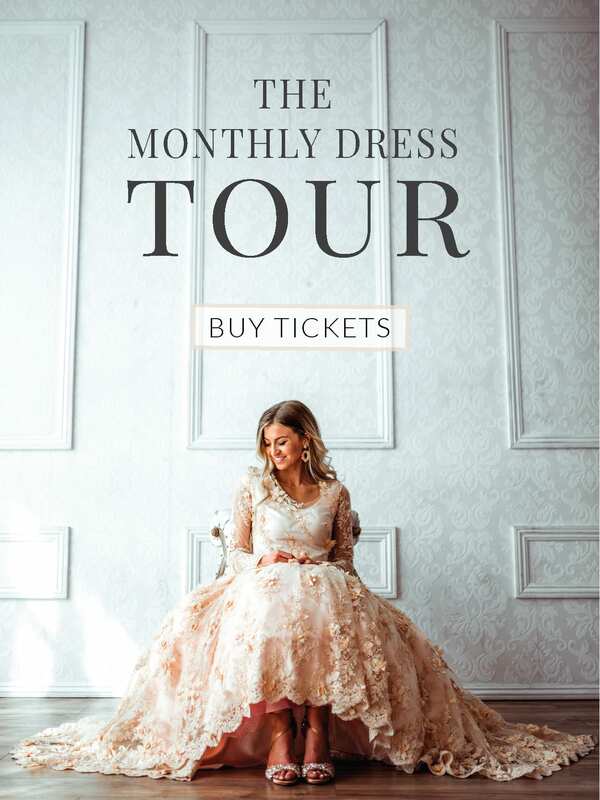 I will let you know when tickets for the tour will go on sale in the upcoming weeks, but first I need input from YOU in a quick Monthly Dress Tour survey at the end of this post. 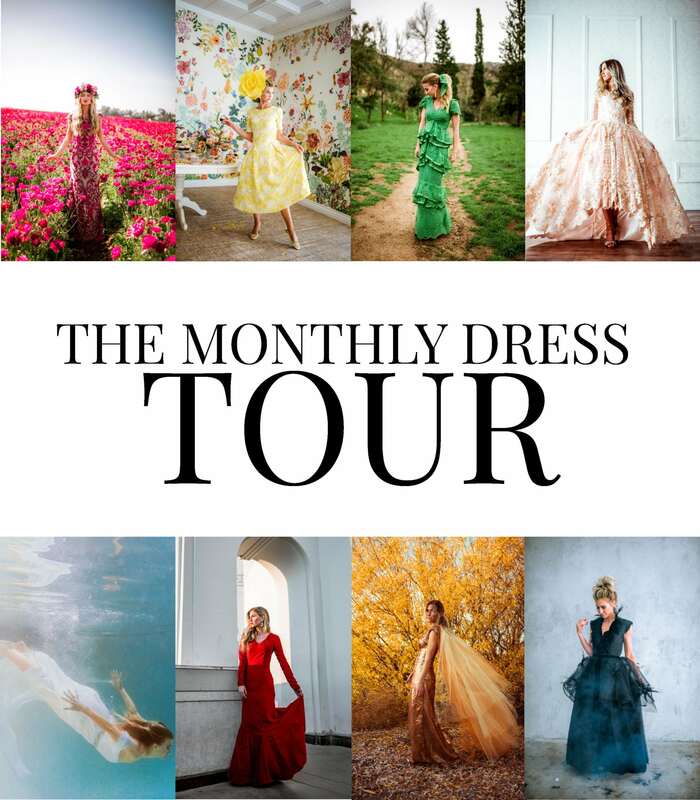 The Monthly Dress Tour will start in the beginning of November 2018 and I will be coming to two cities. I’ve listed the two cities I will be attending in the survey below! It’s only 9 questions long and takes about 2 minutes to complete I would LOVE your help with this tour by taking the survey below. As a little thank you bonus, if you enter your email at the end of the survey, I will be giving away some tickets to the tour once we get closer to it! Take the survey from a mobile device or tablet by clicking here. I would love as many people to take this survey as possible so we can use your feedback as we plan for the tour. I would love you to share this survey with with friends and family. Your responses are so helpful. I can’t WAIT to meet you and to get the opportunity to show you these dresses in person!